After catching wind of the collar earlier this year, Nike SB Dunks & Medicom Toy upcoming “BE@RBRICK” collar will be dropping this Holiday season. On Wednesday, Nike SB team rider Theotis Beasley decided to post a picture of the upcoming Holiday pack on Instagram, and with that we are given a glimpse into what the famed collaboration will look like. “Whatchu thought this was a game 👀🔥🔥🔥 @nikesb #YOUNGMONEY,” Beasley captioned his IG post along with a pic of the shoes & matching 100% and 400% BE@RBRICKs. Unfortunately there’s no release information on the holiday package like how much it’ll cost or when exactly it’ll be dropping, but that’s not going to stop sneaker heads & hype beasts from getting their hands on them that’s for sure. 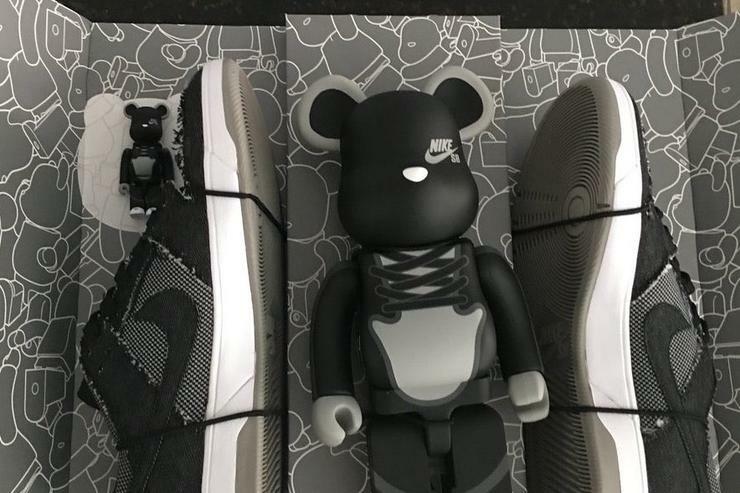 Check out the upcoming Nike SB Dunks Low Elite x Medium Toy collab (below) and let us know what you think! Will you be trying to cop?